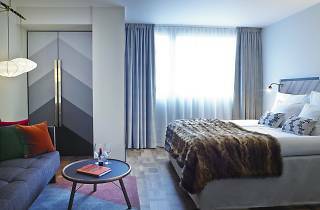 The Clarion Hotel Amarenten is the Nordic Choice hotel group’s offering on Kungsholmen, a central island just west of Stockholm’s main station. Not only are you well-positioned here, but this is a hotel that really takes care of its guests. 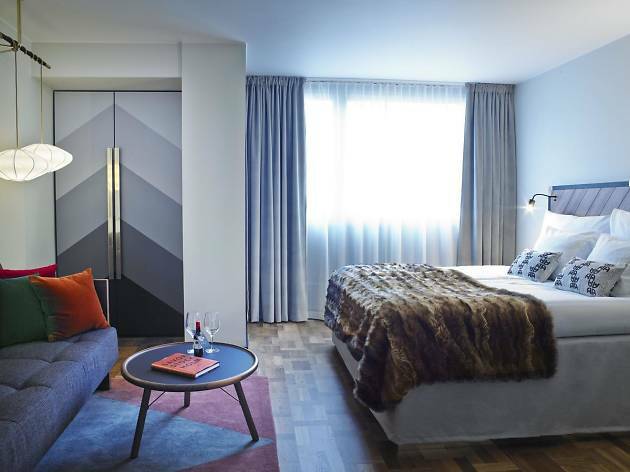 Rooms are in a simple Swedish design but with colourful fabrics that create an at-home feel. The breakfast offers many organic options, and use of the gym is for free. For something a bit naughtier, there’s the in-house bar, Tap Room, which is not the beer-based establishment it sounds like: here, mixed cocktails are served on tap. Kungsholmen, ‘the royal island’ is the gem of central Stockholm’s west side. Here, avenues of colorful apartments meet pristine parks, all ending up on one of the island’s many gorgeous waterfronts. 1. Stadshuset: For tours of Stockholm’s most iconic building, City Hall. 2. Restaurant Agnes: For high-end, Mediterranean-inspired dining. 3. Brewdog, Sankt Eriksgatan: For killer IPAs and hot dogs. You always get a discount on Nordic Choice hotels if you get a membership, even more of an excuse to keep returning to Scandinavia!